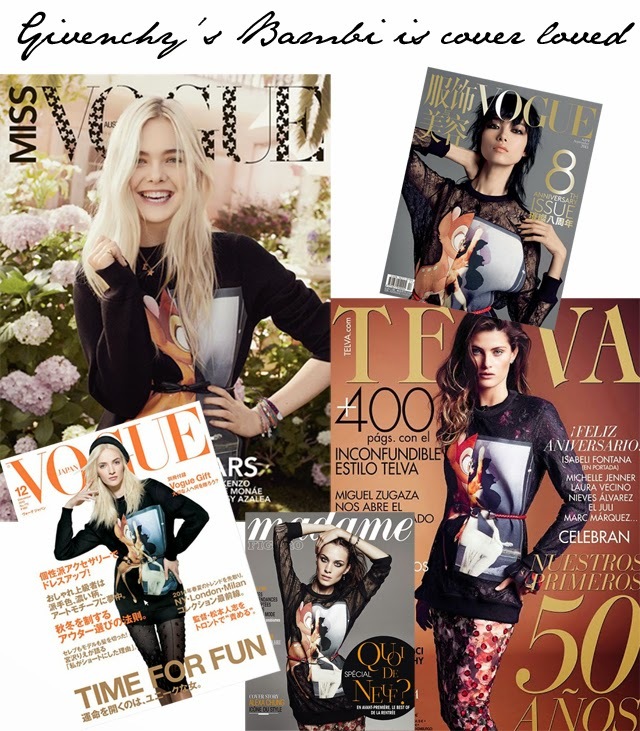 When it comes to cover favourites, the Givenchy Bambi Sweatshirt is going to go down in history as a 2013 hit. It's been seen on Vogue Japan, Madame, Telva, Miss Vogue, Vogue China and more. And we're pretty confident this won't be the last time you see the sweatshirt. Favoured by celebs and editors alike, the sweatshirt is sold out nearly everywhere. Oh, and in case you are thinking it has a pricetag similar to purchasing a Hanes sweatshirt, think again. This Givenchy Bambi bad boy comes with a pricetag of $1,375. Steep, but super on trend, people.